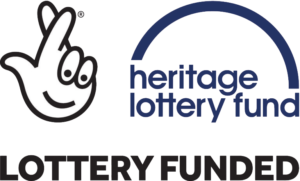 SHARED Enterprise was one of nine Heritage Lottery Fund Catalyst: Umbrella projects in the UK. Between 2014 and 2018 it reached 660 people from 289 different organisations in the East of England. 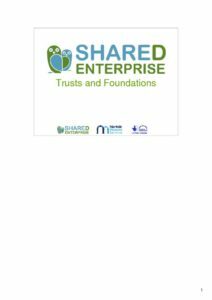 If you’re interested in reading more about the SHARED Enterprise project, you can read the Executive Summary here or the full Evaluation Report here. 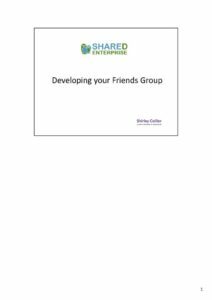 A booklet of ten case studies has also been produced which you can access here. 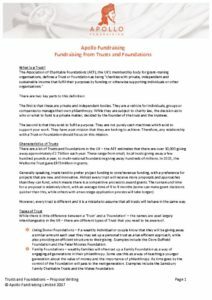 From this page you can find resources to help you with your fundraising, especially if you are an independent museum. 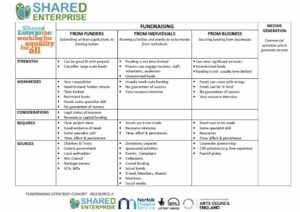 These resources were produced for the workshops and activities of SHARED Enterprise. Some may become less relevant over time, but they are reviewed regularly and retained on this site if we believe they still add value. The menu introduces the nine top level themes of the resources. You can dive straight in or, if you’re new to fundraising, we suggest you start here! 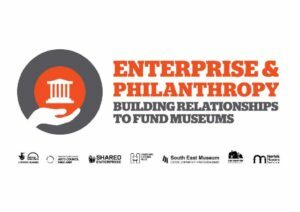 In addition to these resources, you can revisit the Enterprise and Philanthropy Conference, held in London in March 2016, via the SHARE Museums East You Tube Channel. 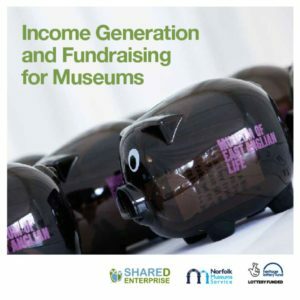 These resources were produced by people who work for or alongside museums, and are being shared so that others who work with and for not-for-profit organisations can do their jobs better. You are welcome to use these resources appropriately but please do not copy them and use them for your own commercial purposes. If you wish to discuss commercial use please contact SHARE Museums East by clicking here. Some of these resources are made available by kind permission of those who have rights in them. When you click the links you may be taken to their website to access the resources. 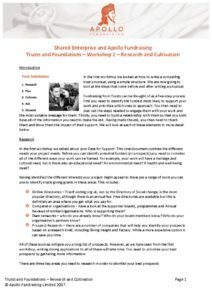 Writing to ask others to support your project is a key part of all fundraising. The resources in this section will guide you in that task. 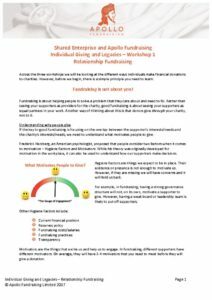 A core strand of fundraising is asking individuals to give you money. The resources in this section include introductory articles, expert guides to the subject and also case studies from museums who have had real success in this area. Behavioural economics says we are sometimes rational, but most of the time our rationality is limited by our ability to work things out, the large amount of information available, the limited relevant knowledge we have, and our own lack of time and energy. 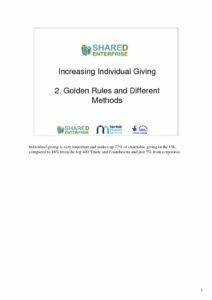 Individual giving is very important and makes up 77% of charitable giving in the UK, compared to 18% from the top 400 Trusts and Foundations and just 5% from corporates. Fundraising works best when it’s been well thought through. 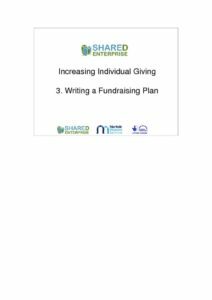 Writing a fundraising strategy is an essential step in organising your thinking, working out what you need and who to approach to get it. 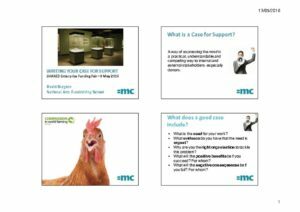 The resources in this section include guidance and template documents, videos on YouTube, and case studies from museums which have successfully developed their fundraising plans and strategies. Fundraising strategy is a big subject! Some of the resources here look at the whole picture and others focus on one or two specific aspects. We suggest you browse the resources and go back to read again those which seem most relevant to your situation. 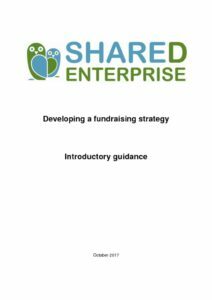 Drawing on the workshops, this guidance gives some basic ideas and approaches on how to develop a fundraising strategy. 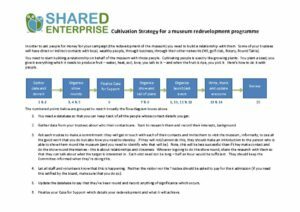 Although aimed at smaller museums, the guidance might be of interest to larger organisations with multiple functions and staff. 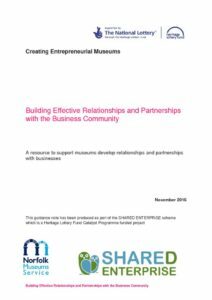 An important strand of SHARED Enterprise’s work was to help museums approach businesses for their support. This is a relatively new area for smaller museums. 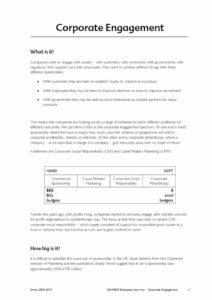 The resources include an overview of what it’s like working with businesses (or corporates as they are sometimes known) as well as a case study from a museum which has successfully developed a relationship with business. We can think of this as the corporate engagement spectrum. At one end is ‘hard’ sponsorship where the issue is simply how much value the initiative or programme will add to corporate profitability- directly or indirectly. At the other end is corporate philanthropy where a company – or an individual in charge of a company – give resources away with no hope of return. People have been leaving money and property in their wills to organisations like charities and museums for centuries. 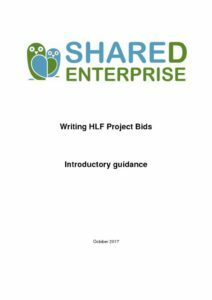 The resources in this section – including an overview type document, a case study from a museum which has successfully developed legacy giving and a YouTube video – will help you to understand both the legalities of legacies and also the sensitivities. How do we dispose of wealth after death? Many people in Britain don’t make a will, so clearly it’s not something we find easy. A will is a way of making a lasting statement about your core values. Many independent museums are constituted as charities and most of these have trustees who are ultimately responsible for their operation, including fundraising! 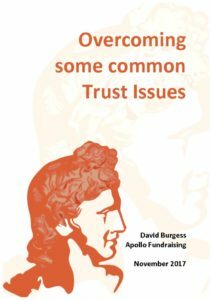 The need for trustees to engage actively in finance and fundraising has increased greatly in recent years. 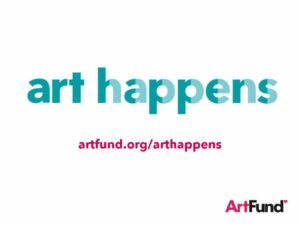 Some museums have Friends groups who support them in a variety of ways, again usually including fundraising. The resources in this section are aimed at helping you to increase your understanding of how trustees and Friends can and should support fundraising for museums. 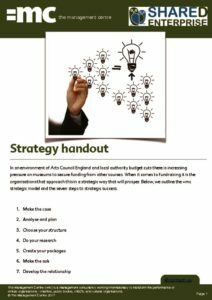 The resources include templates to review the skills your trustees have and role descriptions to help you recruit people with the right skills into the roles as well as a YouTube video. Apollo Fundraising: Are your Friends holding you back? 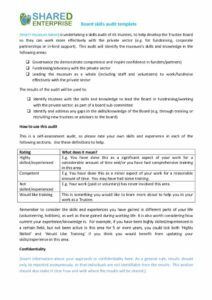 This is a self-assessment audit, so please rate your own skills and experience in each of the following sections. 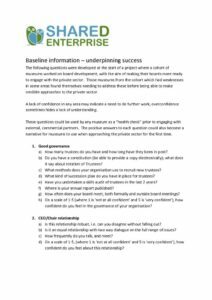 The following questions were developed at the start of a project where a cohort of museums worked on board development, with the aim of making their boards more ready to engage with the private sector. 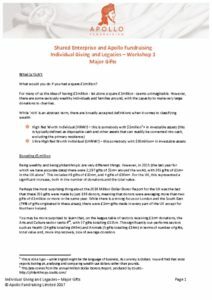 The focus of SHARED Enterprise was on fundraising rather than increasing earned income. However, a small number of resources have been produced which will help you to think about how you can be more commercially minded. 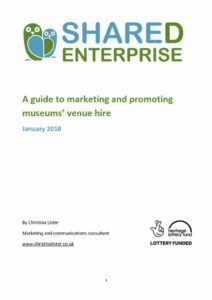 Several museums in the East of England now offer their facilities for weddings, and others have developed a more commercial outlook as a result of the SHARED Enterprise work. These are included, along with two case studies, in the resources. Digital fundraising provides opportunities for museums which could not be imagined just 15 years ago. 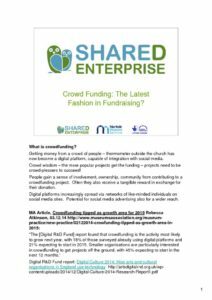 The resources include links to external websites which will be updated regularly, advice on how to approach digital fundraising, a YouTube video and a case study from a museum which has successfully started to fundraise online. Crowd Funding: The Latest Fashion in Fundraising? Getting money from a crowd of people – thermometer outside the church has now become a digital platform, capable of integration with social media. When charities think of fundraising, especially for projects, they often think of Trusts and Foundations. These are often charities themselves, with the remit to distribute grant funding to social enterprises and charities which work directly with beneficiaries. As museums’ finances have shrunk the demand on these grant-giving organisations has increased. 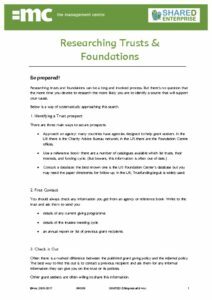 The resources here include expert guidance on how to approach grant-making Trusts and Foundations and a YouTube video.